The Dairy InteractiveTM software makes training new milkers simple and consistent. In less than five minutes, you can customize your parlor’s size, tools, and each step of your milking routine. With just the click of a mouse, your employees can learn how to milk correctly before going out to the parlor. Show and tell your milkers what to do, how to do it, and why it’s important in both English and Spanish. Unfortunately we’re unable to process international orders at this time. Please email us to place an international order. Your dairy’s success depends on high-quality milk from healthy cows. 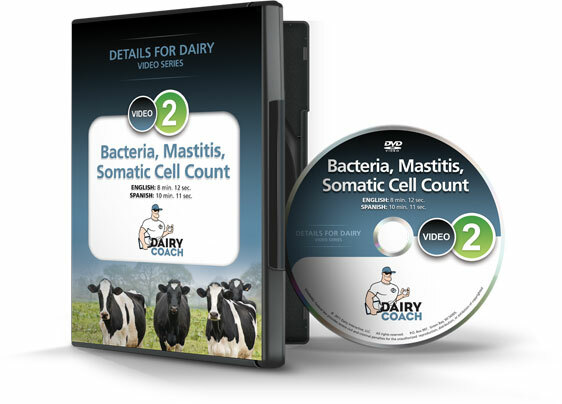 Help your employees understand how bacteria causes mastitis and increases Somatic Cell Count. Most milkers know what to do in the parlor, but did anyone explain why every detail is important? Help your employees understand why each step of your milking routine matters. Cows are creatures of habit and love when everything is the same. Help your cows perform better by teaching milkers how to prep cows more consistently at every milking. How much time do your cows stand in the holding area and return alleys every day? Help your employees manage their time so cows spend more time eating, resting, and producing more milk. 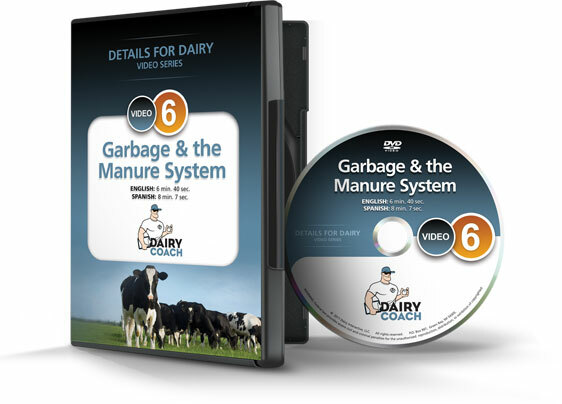 Not only does garbage lying all over the dairy hurt your image, it also costs money when it ends up in the manure pump. 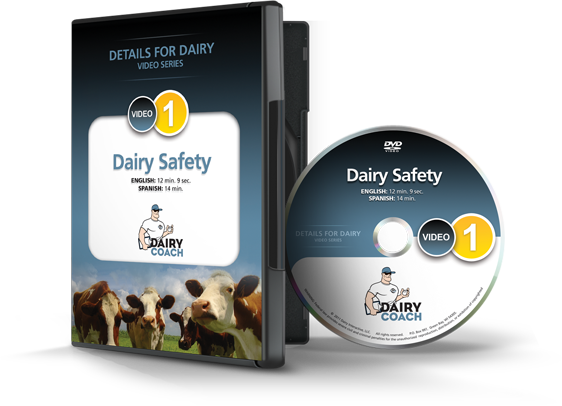 Remind your employees that keeping the dairy clean is everyone’s responsibility. How much easier would your job be if everyone communicated on a regular basis? Help your team understand the value of communication… before things go from bad to worse! Keeping cows in the right pen sounds simple, right? Unfortunately, dairies lose a lot of time and money when cows get mixed-up. 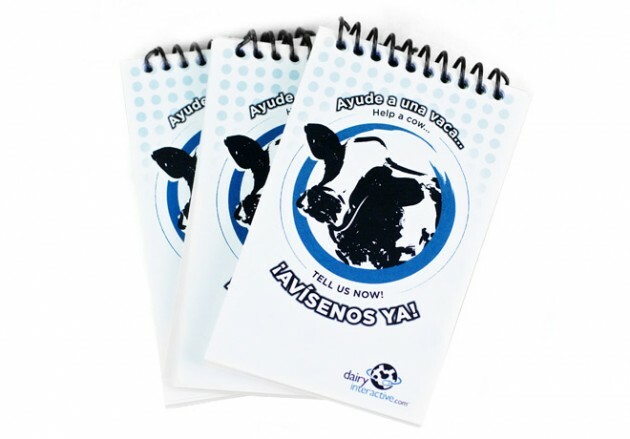 Help your team keep cows in the correct pens every day! 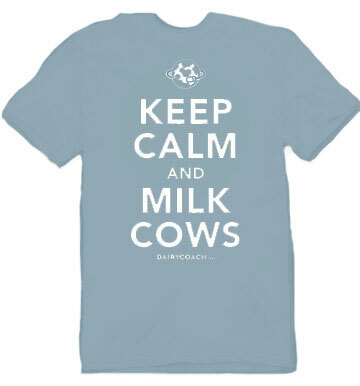 You and your vet know that calm, well-stimulated cows milk out quickly and completely. So why don’t your milkers and cow movers? Help your team understand how to get cows to let their milk down faster. All nine Dairy CoachTM training videos (in English & Spanish) for one low price… our Best Value ever! You need to train your milkers… but not sure where to start? 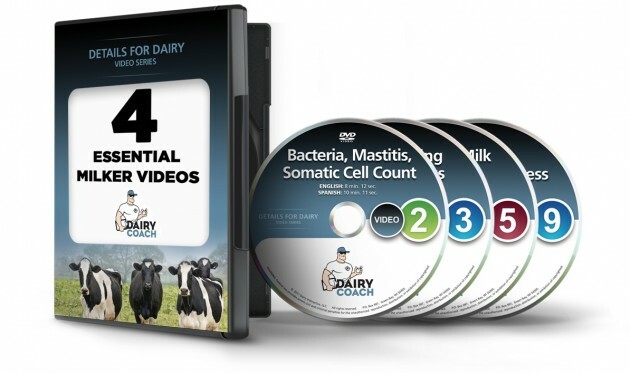 Here are the 4 Essential Milker Training Videos that will get your milking team on-board and on-track… bundle together and save $45. 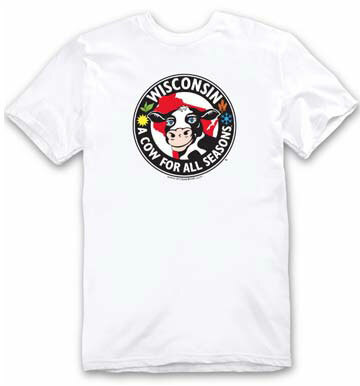 Gildan Ultra Cotton, 100% Cotton Preshrunk. 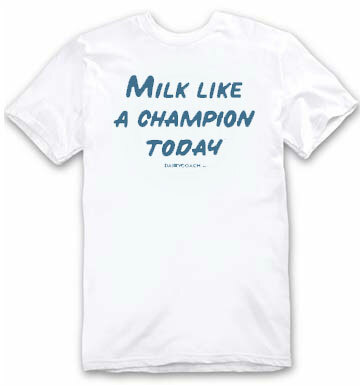 Fruit of the Loom HEAVY Cotton, 100% Cotton. Leading employees and making sure they’re working well is a challenging job. 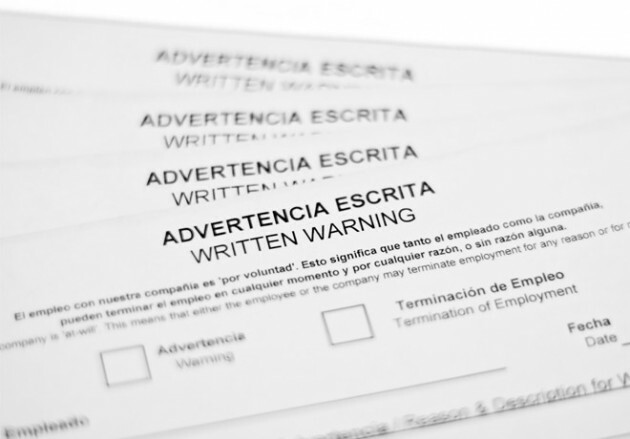 Keeping track of all their personnel files and HR records doesn’t need to be. 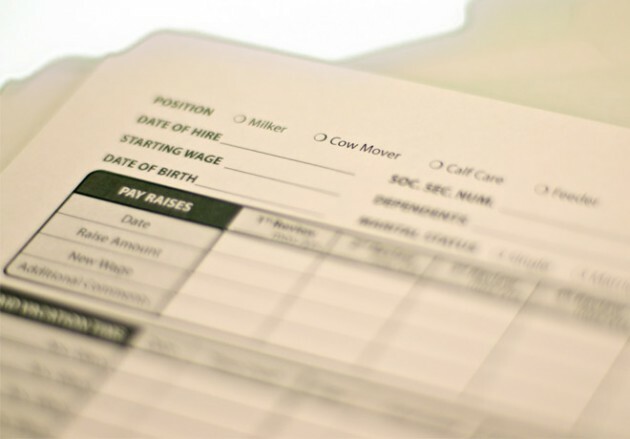 These pre-printed personnel file folders, designed specifically for dairy farms, will make it easier to organize and update individual employee info so that it’s ready when you need it. Packet of 25 file folders. Your milking team sees all of your cows every day. But how well do they communicate what they see? Make it easier for them to communicate the problems they encounter in the parlor. This laminated, bilingual, easy-to-use dry erase board is made of waterproof PVC and measures 2′ x 3′. 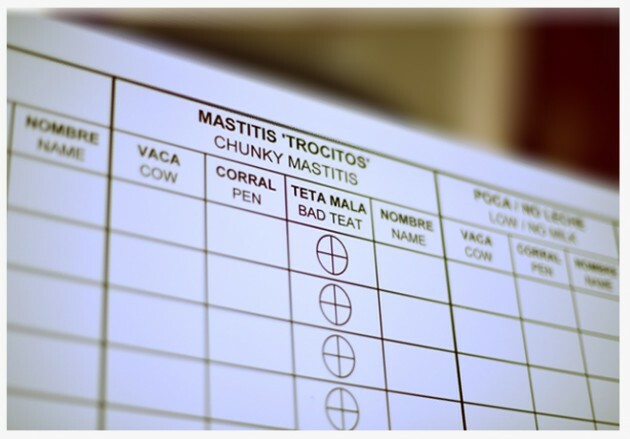 Most milkers know about bacteria, mastitis, and Somatic Cell Counts. But how much do they know and understand about bulk tank cultures and the reports you get from your dairy processor? 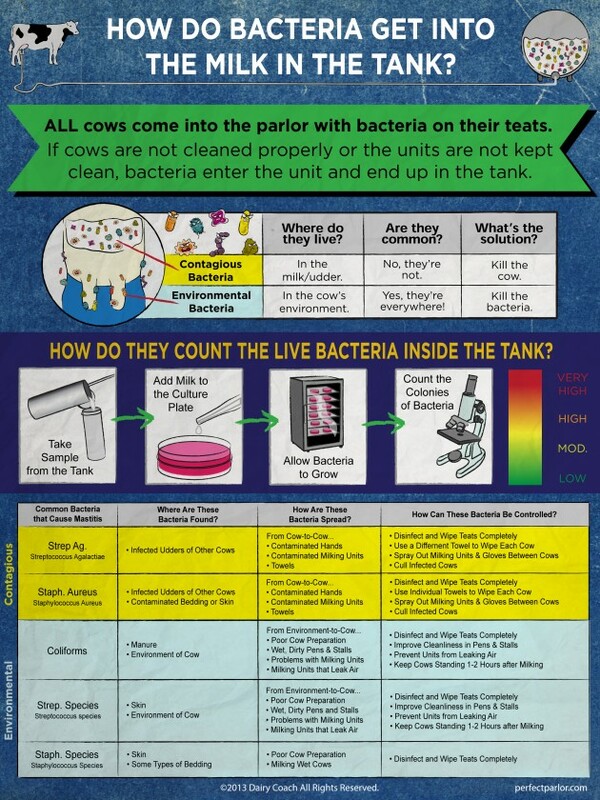 This Bulk Tank Culture poster explains where the most common types of bacteria come from, how they get into the tank and how they’re counted. Most importantly, this poster communicates how to prevent bacteria from getting bast the parlor and into the tank of milk. These full-color posters measure 18″ x 13.5″ and are sold as a set of two, one in English & one in Spanish.